The Winnipeg Free Press has an article on a group of co-workers who managed to get themselves captured by Google Street View in front of their office. 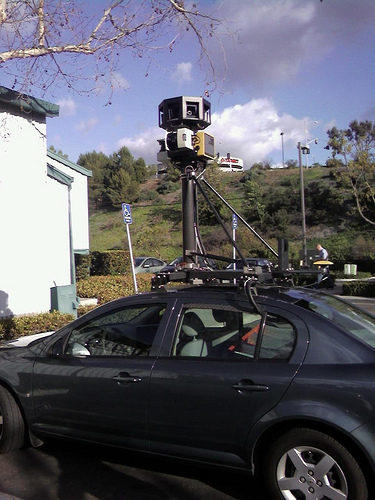 Apparently one of the other employees was on his way to work when he saw the standard grey Google Street View car and he called ahead to the office to get the gang all out in the street to ham it up for the camera. Co-workers from ManLab in Winnipeg, MB ham it up for the Google Street View car. This entry was posted in General, Technology and tagged Canada, Google, google maps, street view on 2009/12/03 by Jeff Ivany.